La Sociedad Colombiana de Geotecnia-SCG se complace en reiterar la invitación a la comunidad geotécnica nacional y regional al XV CCG & II CIERB. La Conferencia de Rocas Blandas se ha organizado en asocio de la Comisión de Rocas Blandas de la Sociedad Internacional de Mecánica de Rocas - ISRM y con el auspicio de esta Sociedad Internacional. Estos eventos estarán precedidos de tres (3) cursos cortos de gran interés geotécnico. Como parte de la programación técnica en desarrollo de los eventos se presentarán conferencias especiales a cargo del Dr. Milton Assis Kanjii, profesor en la Polytechnical School of the University of Sao Paulo; el Dr.Youssef Hashash, profesor de la University of Illinois, USA; el Dr. Vaughan Griffiths profesor de la Colorado School of Mines, USA y University of Newcastle, NSW; el Dr. He Manchao, profesor de la University of Mining and Technology, Beijing, China y el Dr. Nick Barton, consultor internacional en geotecnia de túneles. Professor Youssef Hashash holds a B.S. (1987), an M.S. (1988) and a Ph.D. (1992) in civil engineering from the Massachusetts Institute of Technology. He began his career with the PB/MK TEAM in Dallas on the Superconducting Super Collider Project. In 1994 he joined Parsons Brinckerhoff in San Francisco and worked on a number of underground construction projects in the U.S. and Canada including the Boston Central Artery/Tunnel project. 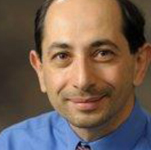 Professor Hashash joined the faculty of the Department of Civil and Environmental Engineering at the University of Illinois at Urbana-Champaign in 1998. He taught courses in Geotechnical Engineering, Numerical Modeling in Geomechanics, Geotechnical Earthquake Engineering, Tunneling in Soil and Rock, and Excavation and Support Systems. His research focus includes deep excavations in urban areas, earthquake engineering, continuum and discrete element modeling and soil-structure interaction. He also works on geotechnical engineering applications of visualization, augmented reality, imaging and drone technologies in. He has published over 80 journal articles and is co-inventor on four patents. His research group developed the software program DEEPSOIL that is used worldwide for evaluation of soil response to earthquake shaking. Professor Hashash is a Fellow of the American Society of Civil Engineers (ASCE) and has received a number of teaching, university and professional awards including the Presidential Early Career Award for Scientists and Engineers and the ASCE 2014 Peck medal. 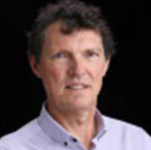 D. Vaughan Griffiths, Ph.D., D.Sc., P.E., D.GE., FICE, F.ASCE, completed a Master's degree at UC Berkeley and Doctoral degrees at the University of Manchester, UK. He was a Senior Lecturer at the University of Manchester, before moving to his current position as Professor of Civil Engineering at the Colorado School of Mines, USA, where his primary research interests lie in application of finite element and risk assessment methodologies in civil engineering. He has written over 300 research papers, including some of the most highly cited in the geotechnical engineering research literature. He is the co-author of three textbooks that have gone into multiple editions including the Chinese language, entitled "Programming the Finite Element Method",5th edition, Wiley (2014), "Risk assessment in Geotechnical Engineering" Wiley (2008) and "Numerical Methods for Engineers", 2nd edition, Chapman & Hall/CRC (2006). He gives regular short-courses for practitioners on risk and finite element applications in geotechnical engineering, with courses already scheduled for 2016-17 in Canada, Australia, Columbia and Norway. Dr. Griffiths is a former ASCE Director and is currently an editor of Computers and Geotechnics, on the Advisory Panel of Géotechnique and on the Editorial Board of Georisk. Manchao He is currently an Academician in Chinese Academy of Sciences, Professor at China University of Mining and Technology, Beijing (CUMTB). He is also the Director of State Key Laboratory for Geomechanics and Deep Underground Engineering in Beijing, China. He is recognized as the leader of the Chinese Union for Mining Innovation (CUMI). And he served as the Vice President at Large of International Society for Rock Mechanics (ISRM), Chairman of ISRM Education Fund Committee, and President of ISRM Chinese National Group. 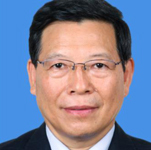 He received his Bachelor and Master Degree in engineering geology from Changchun College of Geology in 1981 and 1985 respectively, and obtained his Ph.D. in Engineering Mechanics from CUMTB in 1989. He got an Honorary Doctorate from University of Mons in Belgium in 2012. He mainly engaged in the research of Rock Mechanics and Engineering, including mining technologies, rockburst mechanism, landslide, active fault stability analysis, monitoring and control, etc. He has published 4 books and over 190 papers in technical journals and in conference proceedings. 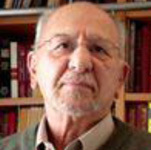 He also serves on the Editorial Board of several Journals, and received 5 National Prizes and awards in his career. International rock engineering consultant. Registered as Nick Barton & Associates in Oslo. Dr. Nick Barton was educated in the University of London from 1963 to 1970, and has a B.Sc. in civil engineering from King's College, and a Ph.D. on rock slope stability from Imperial College. He worked for two periods in the Norwegian Geotechnical Institute, Oslo, eventually as Division Director, then Technical Advisor, and was also four years in the USA, becoming Manager of Geomechanics in TerraTek, now Schlumberger. Since 2000 he has had his own international rock engineering consultancy, registered as Nick Barton & Associates in Oslo, and also has an office in São Paulo. He has consulted on several hundred projects in a total of 35 countries, and has published widely (300 papers, and two text books, one on TBM tunnelling). He developed the Q-system, which was updated together with Grimstad, and is co-developer of the Barton-Bandis joint coupled-behaviour (M-H) model, coded in UDEC-BB. 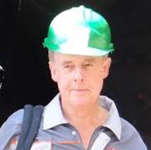 He has also developed QTBM and more recently Qslope for helping to select maintenance and support-free slope angles for rock cuttings and bench-faces in open pits, including slopes in weak rock and saprolite. He has ten international awards including election as Doctor Honoris Causa (Honorary Doctor) in Argentina. He gave the 6th Mueller Award Lecture of ISRM, in the Beijing ISRM congress in 2011. This is awarded once every four years for contributions to rock mechanics and rock engineering.